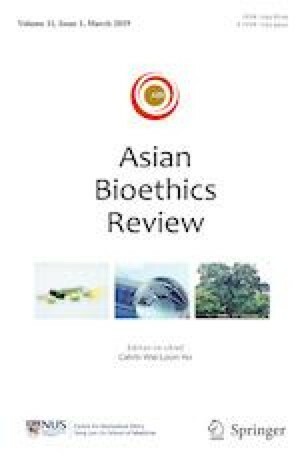 This paper examines older people’s access to care experiences in rural China by integrating anthropological investigation with ethical inquiry. Six months of fieldwork in a post-reform primary hospital show how rural residents struggle to access gerontological and nursing care under socially disadvantageous conditions. This anthropological investigation highlights the unmet needs in medical and nursing care for older people, as well as some social, institutional and structural elements that impede access to care. Centring on protecting the vulnerable as informed by feminist ethics scholarship, this paper argues that the failure to meet older people’s dependency needs is unjust, on the premise that it suggests a denial of the inherent value, rights and dignity of older people. This paper appeals for the provision of greater care and support by the state through putting in place social arrangements that better advance older people’s access to care. Some policy recommendations concerning health and social care reform for older people in rural China are also proposed. The Human Ethics Committee of the University of Otago in New Zealand approved the research (Reference No. 15/106). All participants involved in this study have given their informed consent in oral form, as participants might have been reluctant to express their experiences and perspectives if they would have been required to sign a written consent form, especially with the research involving personal information. On the one hand, signing a document is a quite serious undertaking in a Chinese cultural context, and on the other hand, oral consent is generally honoured and accepted in Chinese society. Therefore, taking consent orally was helpful in minimising the participants’ fear of identification and establishing their trust in the researcher. Additionally, written consent was impractical given that many of the participants were illiterate. To protect the confidentiality and privacy of the research participants, all identifying information was removed. For example, the names used in this paper—including those of informants and locations—are pseudonyms. Barber, Sarah L. and Lan Yao. 2010. Health Insurance Systems in China: A brief note. World health report 2010, background paper 37. World Health Organization. https://www.who.int/healthsystems/topics/financing/healthreport/37ChinaB_YFINAL.pdf. Accessed 13 March 2019. Hui, Jiang, Ye Wenqin, and Gu Yan. 2013. Family-paid caregivers in hospital health care in China. Journal of Nursing Management 21 (8):1026-1033. https://doi.org/10.1111/jonm.12017. Yangjiang Municipal Human Resources and Social Security Bureau. n.d. http://zwgk.yangjiang.gov.cn/auto347/, accessed on 13 March 2019.